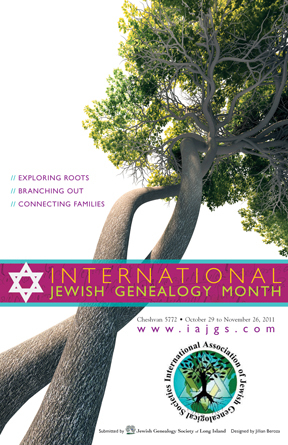 Tonight at sundown International Jewish Genealogy Month (IJGM) began. It is celebrated during the Hebrew month of Cheshvan, which in 2011 runs from October 29 to November 26. The purpose of IJGM is to promote the hobby of genealogy and to make people aware that there is a local Jewish genealogical society that can help them get started on their research. We also honor our ancestors through our family history research. The San Francisco Bay Area Jewish Genealogical Society is holding three events to celebrate IJGM. The first one is a Jewish family history open house at the Oakland Regional Family History Center (4766 Lincoln Avenue, Oakland, CA 94602) on Sunday, November 13, from 1:00-5:00 p.m. Knowledgeable researchers will be on hand to help beginners and those with more experience. Author and researcher Ron Arons will present "Putting the Flesh on the Bones: Researching Why Our Ancestors Did What They Did" twice during the afternoon. A representative from the U.S. Bureau of the census will have informational and promotional materials, and we are also hoping to have someone from the U.S. National Archives regional branch in San Bruno. On Monday, November 14, SFBAJGS treasurer Jeff Lewy will discuss how to create and publish a family history story without having to become a professional author. In "Book 'em, Danno! 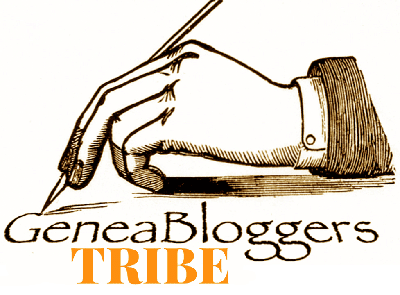 Publishing Your Family's Story", he will explain how he wrote down family stories, filled in some gaps with his own research, added photos, and used an online publisher/printer to make an inexpensive book his relatives are buying and telling others about. Jeff's talk will take place at Congregation Beth Am, 26790 Arastradero Road Room 5/6, Los Altos Hills, CA 94022. Doors open at 7:00 p.m.; the program begins 7:30 p.m. Finally, on Sunday, November 20, Dr. Lara Michels will present "Family History at the Magnes Collection of Jewish Art and Life" at Congregation Beth Israel Judea (625 Brotherhood Way, San Francisco, CA 94132). In 2010 the Magnes Museum became a division of UC Berkeley's Bancroft Library. Dr. Michels has been inventorying and cataloguing the museum's collections during the past year. The collection has never before been fully catalogued. She will provide an update on the Magnes Collection, paying particular attention to the ways in which it can serve the needs and research interests of genealogists and family historians. Doors open at 12:30 p.m.; the program begins at 1:00 p.m.
All the events are free, and everyone who is interested is welcome to attend. If you have been thinking about researching your family history, this would be a great time to start, and these talks will help get you going.